Judaism is based on the Torah and lists there are two aspects to the Torah the encoded Torah and the decoded Torah. The decoded Torah is called Kabala. The Rabbi's have the keys to decode the encoded Torah. In Kabala "god" YHVH the name of the Jewish "god" is shown as the world tree with the ten sephiroth on it. Kabala states the 10 sephiroth are divided into three upper ones the upper face and the seven lower ones the lowers face. The seven lower faces or sephiroth in Kabala are called the "Seven Elohim" the seven gods they are also called the "seven lights" and relates to the seven planets. The seven planets are seven chakra's the name "gods" is also an ancient term for the seven chakra's and so are the "seven lights". The Vav is Gevurah, Tiferet, Chesed, Netzsach, Hod, Yesod. The three pillars also represent the sun, moon and middle channels in the spine. The worlds are divided into male and female sephiroth or energy centers. The male and female parts of the soul. Much of the talk on the sephiroth in Kabala is just on the uniting of the male and female sephiroth which is the point to sexual unite the male and female chakra's and the soul. Kabala calls this practice "Daath" which means in this context "sexual union" this creates the new soul in kabala. The four worlds associated with the tree Atzilut, Briah, Yetzirah, and Assiah, are related to the four elements with Daath being the hidden fifth world of spirit. They also relate to the five main sheaths this is still found in Hinduism. The physical body the prana body, the astral body the mental body and emotional body. That come together to form the person. In Kabala the soul simply reincarnates which they call "Gilgul" in Kabala. And this process is done according to the karma of the individual soul. There is no literal heaven with a "god" sitting in it in Kabala. In Kabala the highest "god" is simply the Ain Soph which in Kabala is a code for Kether the crown which relates to the element of space. There are actually only nine sephiroth counted in Kabala not ten. Kether is considered not part of this for reasons of it relates to the union with the Ain Soph and the essence within all the other sephiroth. The Ain Soph is called simply "A Force" in kabala and nothing else its the subtle energy that manifests existence. The nine sephiroth are seen in the Norse with the nine worlds on the tree. Ten is a code for union with spirit the 1 in Kabala is spirit as it unites and adds into all numbers all this core element does into all forms. The O is the female symbol the physical body or Prakriti in Hinduism that unites with spirit or Purusha. The union of both occur at the crown. The goal of Kabala is to raise the Shekinah from Malkuth the root chakra to "god" in Kether the crown. This is the union of Shiva and Shakti in Hinduism. There are actually 33 pathways on the Kabala tree as Kether is the hidden 33rd pathway in Kabala. This is the 33 vertebrae of the spine which Shekinah the serpent energy must travel thought to unite with "god" at Kether the crown the top of the head. This is also the 33 Deva's in Hinduism. And 33 degrees of Masonry. Note Ain is the Hebrew letter that is given the All Seeing Eye and is called this in Kabala. Kether the crown connects to the pineal gland in the brain. 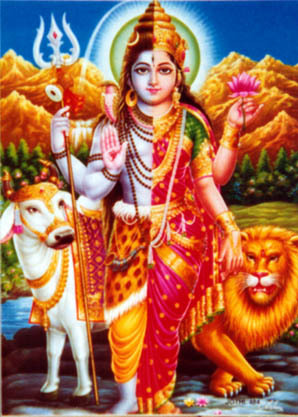 This concept of Kether as the actual "god" is in Hinduism. The crown is called Guru which means "god" for the same reason. It connects into the eternal essence of "That Which Is Not" the Shiva Tattva in Hinduism. In Kabala the 22 letters relate to the seven planets the 12 signs of the Zodiac and the three elements. However this is taken from the Greek 24 letters which in the Greek the 7 planets, 12 signs of the Zodiac and 5 not 3 letters for the five elements. The letters on the tree are designed to be vibrated in certain patterns to lead the Shekinah up the 32 paths to the 33rd path of Kether. The individual physical Jew is literally called "god" in Kabala that is all. The ten sephiroth also relate to the formation of the physical body and how it overlaps the soul. Making simply a physical human being. This shows the truth Kabala is stolen and corrupted from more ancient spiritual teachings of other cultures hence much of this is still found in Hinduism. Which many Israeli Jews who went into Hinduism and were initiated into esoteric Hinduism, Tantra in India simply left and went to back to Judaism as they stated everything they found in Hinduism was already in Kabala.